Honus Honus just wants a quiet place to do what humans do. Respect Marc Hinkle, Honus Honus’ fictional merch dude. Honus Honus of Man Man doesn’t have an infinite number of plus ones, so don’t bother asking. Honus Honus of Man Man wants you to have some basic human decency and treat openers like humans. Don’t flail onstage in a drugged-out haze or Honus Honus will boot you in the face. Backpacks, bare chests — Man Man frontman Honus Honus shares some solid wisdom when it comes to show attire. Watch out, or Honus Honus will lick your cell. Like having teeth? 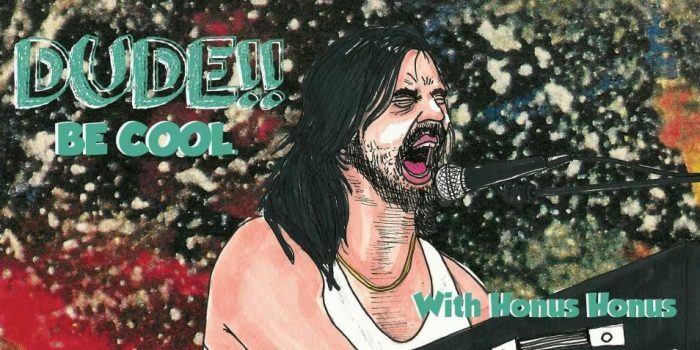 Man Man frontman Honus Honus has some essential concert etiquette for you.